Who doesn’t like a healthy and glowing skin? A radiant skin not only makes you look beautiful from outside but from within as well. A lot of care and attention goes into achieving that perfect glow. However, if you happen to have an oily skin type, then you’ll have to go an extra mile for getting that glow. Oily skin is more prone to develop various skin-related issues like acne, pimples, whiteheads and blackheads. Blackheads can turn out to be quite annoying. A lot of people spend hefty amount of money in salon and beauty products just to get rid of those stubborn blackheads. However, just a few tips and tricks at home could help you get rid of them. Yes, you read that right. When the open pores in the skin get in contact with dirt, it leads to accumulation of dirt particles that eventually lead to formation of blackheads. The most common areas on face that are prone to blackhead formation are nose, cheeks and even chin. Scrubbing your face gently, using few basic kitchen ingredients, could help you move a step ahead in tackling blackhead issues. Oats help in exfoliating the dead skin cells and also help in removing the dirt. 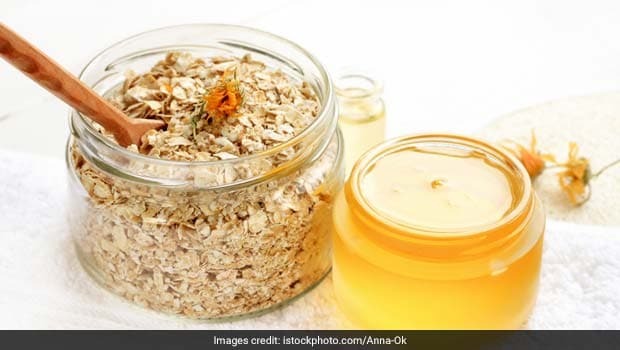 Other than this, oats have the ability to absorb and remove extra oil from the skin. Honey acts as a moisturising agent and also has antibacterial and anti-microbial properties, whereas, banana helps in retaining the lost moisture in the skin. Banana together with oats doubles the exfoliating power, which is perfect for an oily skin type.